Improve student test scores and involve parents in the process. Fun, exciting, interactive, and inclusive - these sets of content-based games help students master curriculum outlined in the current NSES or NCTM Standards for grades 1–6. Written by teachers using research-based principles, each game has been tested and proven effective in classrooms like yours. Each Class Pack set of games provides comprehensive coverage of topics required for science testing at that grade level. 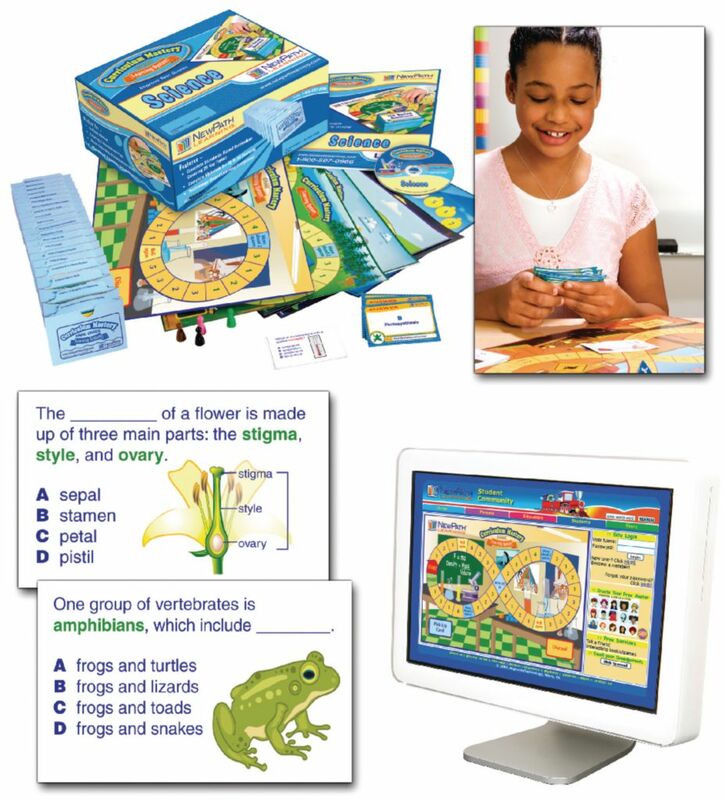 Engage students in learning with over 750 review cards, each set focused on a specific topic, and an additional 12 double-sided game boards for study and review. Games address content of 5th grade science curriculum. Includes topics Cells, Tissues and Organs; The 6-Kingdoms of Life; Roots, Stems and Leaves; Plant Responses and Adaptations; Plants With and Without Seeds; Flowers and Seeds; Animal Diversity and Adaptations; Energy and Ecosystems; Interactions Among Living Things; Cycles of Life and Biomes; Landforms, Rocks and Soil; Minerals of Earth’s Crust; Earth’s Freshwater and Atmosphere; Earth’s Oceans; Energy Resources; The Solar System; Weather, Weather Patterns and Climate; Properties of Matter and Energy; Elements, Mixtures and Compounds; Solids, Liquids and Gases; Chemical and Physical Changes of Matter; Acids and Bases; Newton’s Laws of Motion; Sound and Light Energy; and The Nature of Science.